We think big, and do not print our art less than 30 inches big. We do not believe in mass-produced art - We belive in exclusivity. This is why we choose to print pictures in a specific number of copies in a range of variations. No more, no less. 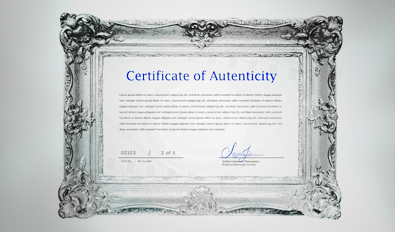 You will receive a Certificate of Authenticity with the purchase of your copy. We ship all over the world. The paintings can be delivered with an exclusive metal or folded edges. The frames can be colored, stainless steel or lacquered -For you as a primarily buyer, it is your choice. Contact us for more info or samples. Overview and architecture of Sin City. Nature and lifestyle of Miami, West Palm & Bushnell. Fashionable portraits of models and profiles.